If you’re one of those people who use their garage for more than just parking your cars, you’ve probably spilled something or stained the floor at one point or another. Can these spots and stains be erased from the concrete’s memory?Painting up your storage ground can be a first rate idea to exchange the look of your old storage and give it a few attractions, but many people suppose that it’s far a waste of money and efforts because of which they hold their garage floors unpainted. They worry that the difficult surroundings, climate, tires and the moisture can reason the paint to peel off. Painting your garage ground can surely advantage you ultimately. It acts as a protecting layer and saves it from further abuse.It must be wiped clean with the usage of business solvents in an effort to cast off the dust which has collected in it over the years. If the ground is not cleaned nicely, then chances are that the paint will now not successfully bond with the floor, resulting in peeling off on the slightest exertion that is why you ought to take special care in Cleaning garage floor before painting it. Hence, let’s discuss about the cleaning process of garage floors in detail. 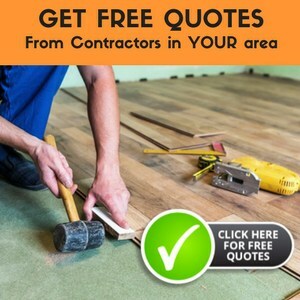 Several individuals are portrayingthat their garage flooring can offer a safe surroundings for any paintings to be carried out inside the garage without the concern of staining the ground with oil and grease. While left untreated, these flooring grow to be grimy and stained decreasing the overall enchantment of the storage. Hence, let’s see the reasons behind the cleaning your garage floor. With housing costs skyrocketing, it only makes sense to look for what you already have for more living space rather than purchasing a newer and bigger home. And if you already live in a warmer climate or don’t mind scraping the car windows in the morning, why not park the cars outside and make your garage into a new living area? Cleaning garage floors is the first step to your remodeling and redecorating process. You’re going to need to remove the offending stains that just won’t fit into the kid’s new playroom or your new poker room. First of all, you want to know that cleaning the garage floor is essential if you are thinking of painting on the surface. Simple scrubbing and cleaning may not be enough. The stain or grease leaves a layer in between the floor and the paint that creates a lack of adhesion in many cases. And if you still park your car in the garage, the tires will probably peel the paint off.To really Cleaning garage floor, you’ll need solvents and proprietary cleaners. Some of what you are cleaning is removing basic dirt, but some of what you are doing is removing stains from the concrete floor. You can find these kinds of products in hardware and paint stores. Be sure to follow the instructions completely to ensure that all of the stains and dirt are removed. Pressure washers are great for cleaning garage floors too. These washers power water onto the surface at about 1200-2000 psi. These are a great option when the garage floor is extremely stained or it has been stained for a long time. If you can’t find a pressure washer, a steam cleaner can be just as effective. In either case, though, you may want to incorporate a detergent to help break up the grease and other stains.Cleaning garage floors is also necessary to ensure that the tiling adhesive of or other flooring options will stick. While the adhesive will indeed stick one surface to another, any stains that remain can slowly break down these bonds and create problems with the actual flooring, so you want to be sure to clean the garage floor as thoroughly as possible.You also want to look into cleaning the garage floor in order to prevent slips and falls in the area. Grease spots can cause slips; you don’t want falls on the hard concrete, to say the least.While no one wants to start cleaning garage floors, it is a necessary step on your way to a more beautiful housing spaceeven if you still use it as a combination garage and workshop.